Two girls from the northeastern region were found to be missing at the national capital. Miss Linda Lein aged 20 years and hailing from Manipur while on her way back after an interview at a private company at Hauz Khas, South Delhi was found to be untraceable. 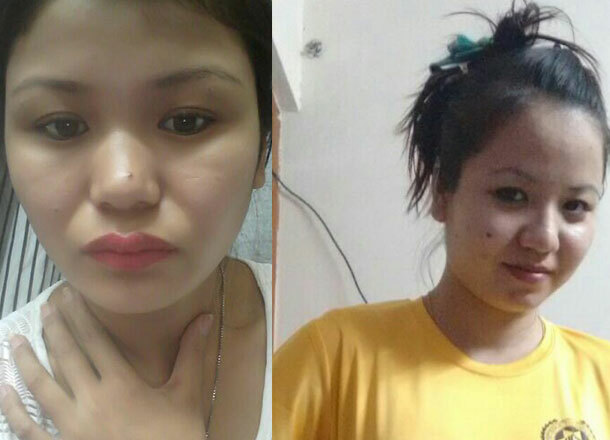 Another girl from Darjeeling who was working in a private shop in North West Delhi, Miss Neetu Tamang was also found to be missing while on her way to her sister’s rent house at Munirka, North Delhi. Both the missing cases have been lodged at Police station Dadri and at Police station Timarpur. Two NE girls missing at Delhi while on way back to their rent houses : Help police to trace them . 1. Miss Linda Lein, age 20 years, from Manipur, missing while on way back after interview at private company at Hauz khas, South Delhi, her mobile switch off. 2. Miss Neetu Tamang from Darjeeling also missing while on way to her sister's rent house at Munirka from North Delhi. She was working in private shop in North West Delhi. ........but we need your cooperation to trace them out. Immediately INFORM - 1093 (North East People Helping number ). OR send sms or whatsapp at 9810083486. Also, PRAY for their safety. ( I have been requested by their family members for uploading here). Nodal officer for North East People, Delhi.